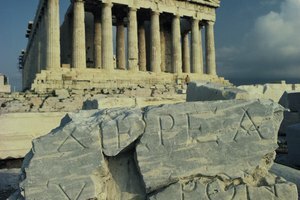 Ancient Greece's democracy has proved a foundation for many modern political systems. 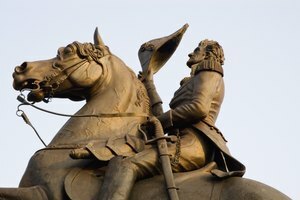 "It is true that we (Athenians) are called a democracy, for the administration is in the hands of the many and not the few, with equal justice to all alike in their private disputes,” said the Greek General Pericles. 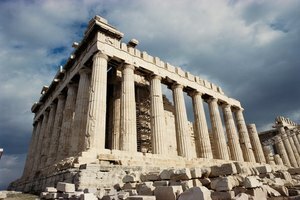 Of all the great works of philosophy and art Ancient Greece gave the modern world, the birth of democracy could be considered its most important achievement. Initially it only lasted for two centuries, but the notion of people power, or demokratia in Greek, continues to be a foundation for many governments more than 2,500 years later. 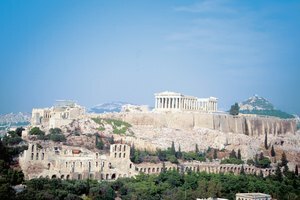 The origins of Athenian democracy can be traced back to the sixth-century B.C. poet and statesman Solon, who ironically was not a believer in the power of the people. But he would develop a set of constitutional reforms that laid the basis of democracy a century later. It was the progressive aristocrat Cleisthenes who championed a radical political reform movement, ushering in the Athenian democratic constitution in 507 B.C. Cleisthenes helped to overthrow the harsh and tyrannical rule of Hippias but was driven from Athens by the aristocrats, who were unwilling to relinquish absolute power. The poorer citizens, however, were determined to have a greater say in how the city was run. They revolted, executed their leaders and called Cleisthenes back from exile to form the first government of the people. Democracy lasted through most of the fifth and fourth centuries B.C. but in 321 B.C., when Athens was conquered by its more powerful neighbor to the north, Macedonia, power went back to the elite. The egalitarian system would last in other parts of the Greek world until the Romans extinguished it more than a century later. The three key elements of Athenian democracy were the Ekklesia, the Bouleterion and the Dikasteria. The Ekklesia, or assembly, was the key governing body and any one of the city’s 40,000 adult male citizens could attend its 40 annual meetings, though only around 5,000 did each time. The assembly made decisions about war, foreign policy and laws by majority vote. The Bouleterion, or senate house, was a council of 500 men selected by lottery, 50 for each of the ten Athenian tribes, who met every day to conduct the daily work of government and decide what matters would go before the Ekklesia. The Dikasteria comprised the courts, where 500 male jurors picked daily by lottery would decide on prosecutions and deliver verdicts. 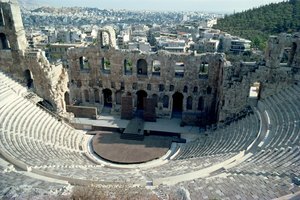 While the original Athenian democracy did not survive, it became a basis for many modern political systems. Abraham Lincoln, the 16th President of the United States, described democracy as “Government of the people, by the people, for the people.” Athenian democracy created a notion of a politics untainted by wealth, privileged birth or corruption. Every eligible citizen could take part in the assembly, while those in the Bouleterion and Dikasteria, were selected by a random lottery so they could not be influenced by money or popularity. Nevertheless, historians have noted that aristocrats appeared to have served more frequently than others. Modern-day governments may have evolved from this original democracy in ancient Greece but there are several key differences. The Greeks invented the concept of one man, one vote but its system was deeply flawed by today's standards, as only adult males of Athenian descent were allowed to vote; women, foreigners and slaves were excluded from participation. As such, just 40,000 men of a population of 260,000 men, women and children held any power. It was also a direct democracy, with people voting for their own laws, whereas today voters in most countries elect representatives to make the laws and govern. Harrison, Theresa. 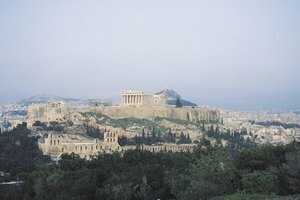 "Why Ancient Greece's Democracy Was Important." 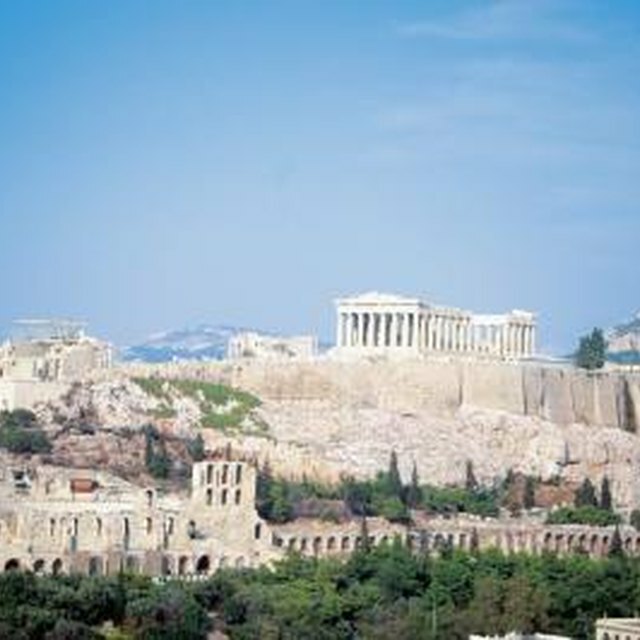 Synonym, https://classroom.synonym.com/ancient-greeces-democracy-important-5216.html. Accessed 20 April 2019.